Heaven’s Family’s mandate is straight from Scripture. We’re called to serve the “least of these” (see Matt. 25:31-46). They are our spiritual brothers and sisters, but they are also very poor and persecuted. They face hunger, thirst, sickness and imprisonment. They lack clothing and shelter. Jesus lives in the “least of these,” and He taught us that our love for Him is revealed by the demonstration of our love for them. 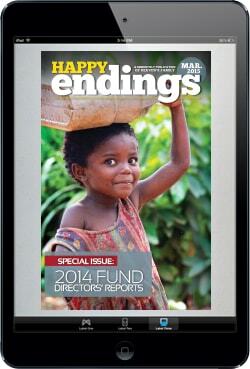 To that end, we’ve developed 21 Focused Ministry Funds, each of which is directed by a Heaven’s Family staff member. For this special issue of our bimonthly magazine, I’ve asked each of our ministry fund directors to report on their fund’s fruit in 2014. I encourage you to at least read the reports about those funds in which you invested last year. And then rejoice and feel good! You touched lives around the world through your sacrifices that reveal your love for Jesus. 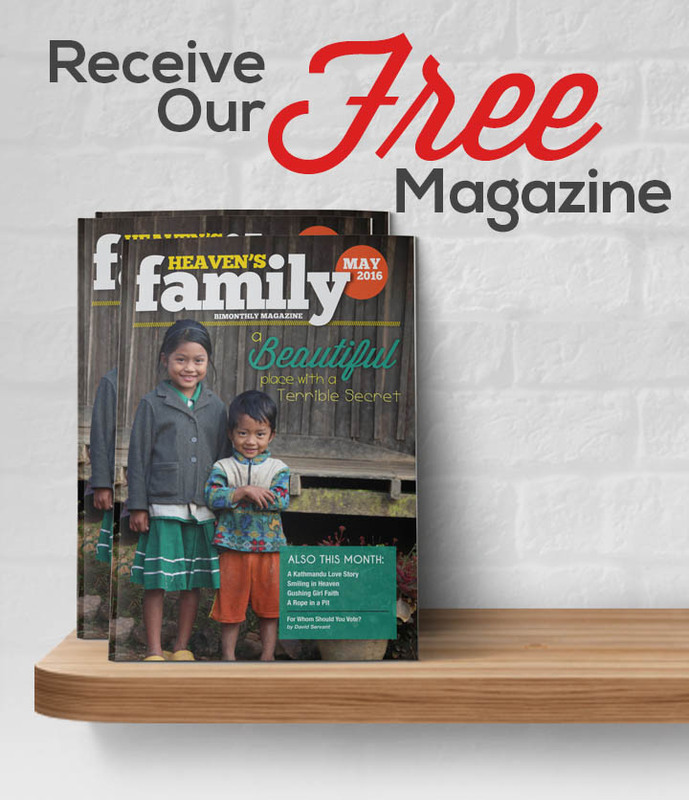 Heaven’s Family consists of more than just 24 staff members. Our family consists of hundreds of followers of Christ around the globe. In 2014 they invested over 2.6 million dollars that met pressing needs in over 35 nations. Those investors are from most every state in the U.S. and from 23 countries. Most were first introduced to the ministry of Heaven’s Family through our teaching website, ShepherdServe.org, or through one of our e-teachings, or daily e-devotionals—published in either written or video format. As we begin 2015, I ask for your prayers. The Lord continues to open doors for us. There are so many opportunities. Our staff continues to grow. Ironically, I find myself having less time to do what I feel most called to do—the very thing that has attracted so many people from around the world to join Heaven’s Family—that is, teach God’s Word. I need the Lord’s wisdom. I truly covet your prayers to that end. 2015 also marks the beginning of Heaven’s Family’s Compassion Club, which I’ll be telling you more about in the months ahead. It is an answer to the heart cry of every true follower of Christ to serve the “least of these” every day. You’ll find more information by clicking here. I think you’ll be excited with me at the possibilities.